Fans celebrate on the dance floor as deejays mix album cuts, b-sides, un-released tracks, remixes and hits from the two artists as well as songs by such ancillary acts as Sheila E., The Jackson 5, The Time and Janet Jackson. Collectively, Prince and Michael Jackson helped define the early-'80s era of MTV, revolutionized both R&B and popular music, and influenced thousands of musicians worldwide. This party pays tribute to two of the greatest artists of our time. The experience is presented by DJ Dave Paul who has successfully produced over 400 of these events in 40+ cities (San Francisco, Los Angeles, Seattle, Detroit, Minneapolis, Chicago, Washington D.C., Philadelphia, New York etc.) over the last 16 years. 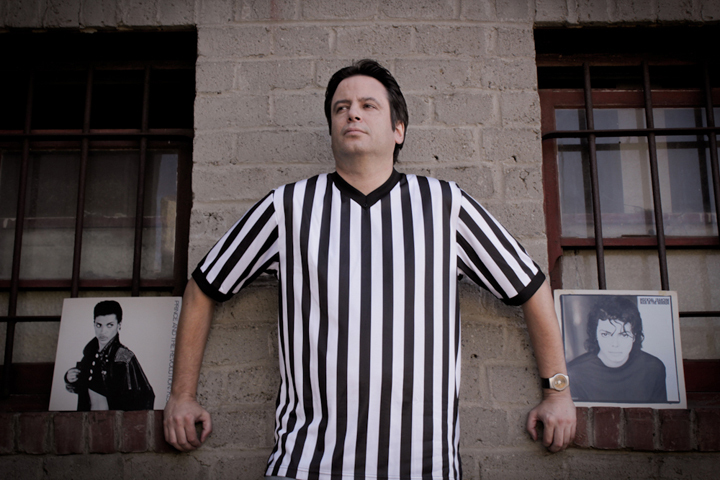 For over 20 years, DJ Dave Paul has been an integral part of hip-hop and DJ culture. In the early 90s, he launched the now legendary publication, The Bomb Hip-Hop Magazine, and in 1995, Paul transformed the magazine into a record label. The company was named "one of the fifteen independent labels that matter," according to Rolling Stone, and the label's Return of the DJ series was ranked by Spin Magazine as #25 in their "The 90 Greatest Albums of the 90's" (Sept. 1999 issue), receiving a higher rating than Gold & Platinum albums by Lauryn Hill, Pearl Jam, Metallica, Green Day, and Fatboy Slim. Dave Paul has appeared on the front cover of Billboard magazine and is featured in the motion picture Scratch. Mr. Paul has DJ'ed throughout the US, toured Europe, released over 100 projects on his record label, and currently produces theme parties, including That BIG 80s Party and The PR+MJ Experience. "I remember going to this night and not only having the time of my life but seeing so many other people having the time of their life - and that's not an exaggeration. There is such a rare form of positive vibes across the audience." - Tim O. "This was literally the most magical night of my life. I will never do this again because it will lessen the experience. I connected with my mother, my father, and complete strangers. I have never been so happy and so at peace." - Asia S.
"We came. We danced. We laughed so hard we cried. We found the bathroom and peed so we could comfortably laugh some more. We found the fan. We danced a lot more." - Danielle P.
"Had a wonderful time here last Saturday with my best friend at the Prince vs. Michael party. Was quite chill earlier, then got packed. Great vibe. The staff was equally great.The clientele was very hip and smiling, and positive." - Samantha M.
"I had a pretty good time. The energy was excellent on Saturday night...people were smiling and laughing and having fun. Girls weren't being catty and dudes weren't groping. It *was* insanely crowded, and believe me, I am *not* touchy person, but after awhile, I kind of felt that there was a camaraderie to it. It was cozy in a sort of "March of the Penguins" huddling-for-warmth kind of way." - Karen F.
"This was one of the best DJ sets and crowds ever. Everyone was grooving with a smile on their face, very polite and some of the best dancing, and the best music. Much appreciated that people still enjoy really good music, know how to get down and have great manners too." - Lex W.
NOTE: We are created for fans by fans. 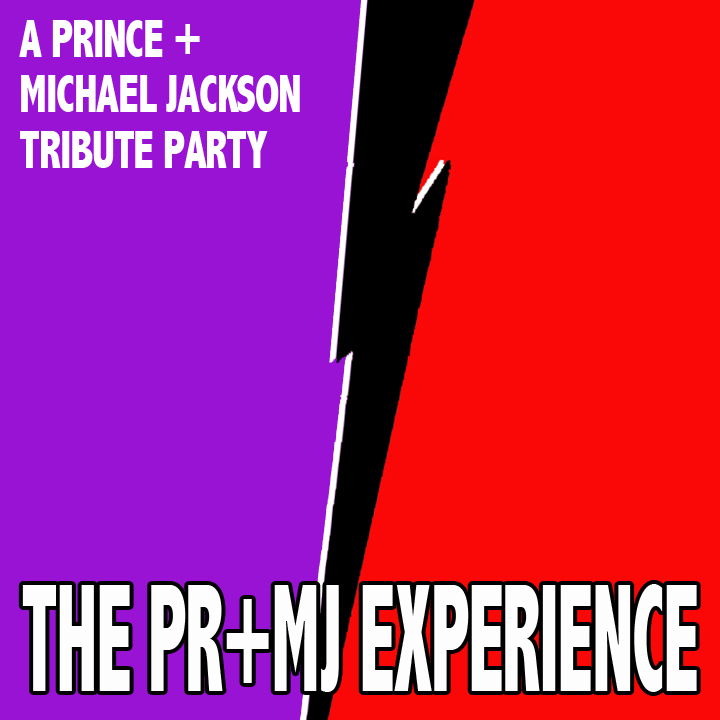 The PR+MJ Experience is meant to celebrate the music of two of the biggest pop cultural icons of our generation. It is done with love and mutual respect for both artists. The Estate of Prince Rogers Nelson and the estate of Michael Joseph Jackson is not affiliated, associated, or connected with The PR+MJ Experience, nor has it endorsed or sponsored The PR+MJ Experience. Further, the Estate of Prince Rogers Nelson and the Estate of Michael Joseph Jackson has not licensed any of its intellectual property to the producers, advertisers or directors of The PR+MJ Experience.